The aftermath of the Michael Crabtree continues to be the most interesting thing happening right now with the San Francisco 49ers, with minds being torn between simply filling his spot with someone already on the team, or by adding a wide receiver in free agency, with someone like Devery Henderson coming to mind. There are others still out there like Brandon Lloyd, Austin Collie and Laurent Robinson, but the Niners are looking for someone who’s a little bit cheaper at the moment, if at all. 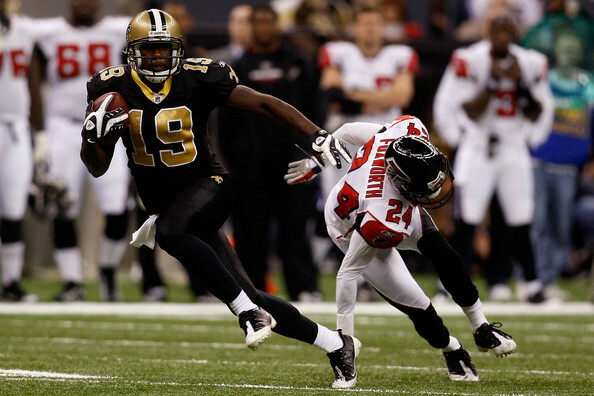 At his best, Henderson caught 32 passes for 793 yards, and that was with Drew Brees slinging the ball to him. His production has steadily been declining for the last three seasons, catching only 22 passes for 316 yards last season. As his former Saints GM said not too long ago, guys like Henderson this season are free agents for a reason, and it wasn’t very likely that the Saints were going to try and bring him back. For the 49ers, right now there’s a competition to fill the void left by Crabtree, which is 1105 yards and 9 touchdowns from last season. As of now, and according to Jim Harbaugh, it’s between A.J. Jenkins, Quinton Patton and Ricardo Lockette for the void left by Crabtree’s torn Achilles tendon. Jenkins was hardly used last season, Patton is a rookie and didn’t line up on a single snap for the 49ers last season. The 49ers haven’t been about one player making the difference. This is a very strong system that has been growing for a few years, making the most of an excellent defense, an enormous offensive line and a very effective running game. One wide receiver shouldn’t make all that difference, especially with Anquan Boldin as an impressive new addition. The Niners won’t really harm themselves by adding someone like Henderson. He still has speed, and in certain sets can be effective in creating opening while others draw attention. He’ll come a lot cheaper than Lloyd or Robinson, and won’t prove to a major hit on their cap, which is probably the main thing the 49ers are concerned about. He might not add too much, but it’s not going to hurt giving him a shot over guys like Jenkins and Lockette.